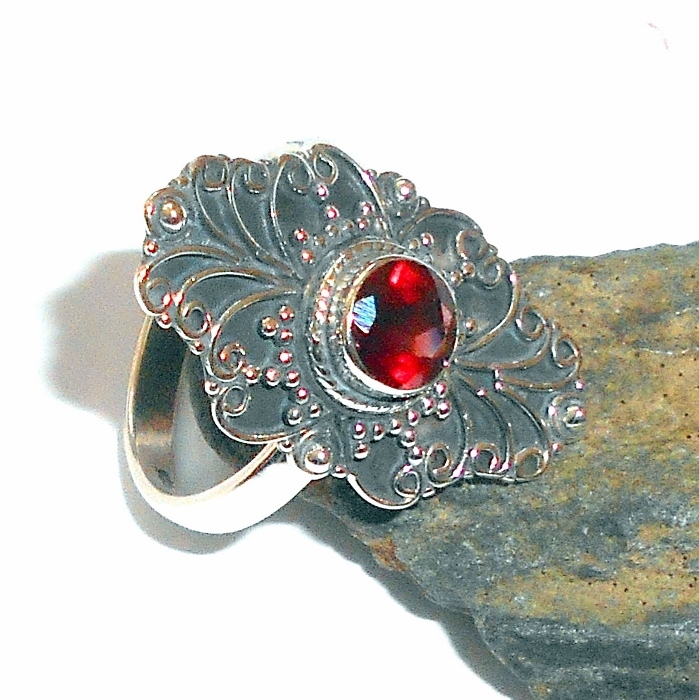 Red garnet gemstone ring finished in sterling silver, size 8.5. 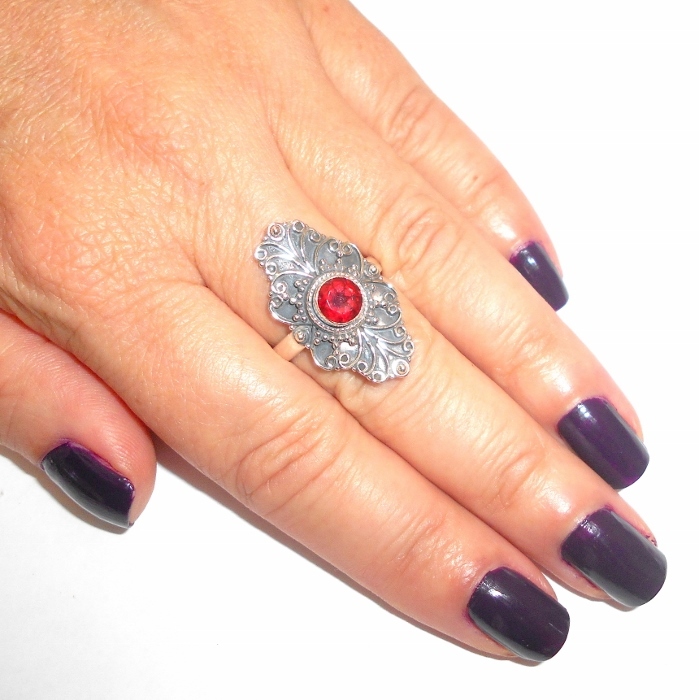 The word garnet comes from the Latin word granatum, which means pomegranate. According to the Talmud, the only light on Noah's Ark was provided by a large garnet gemstone. Garnet is excellent for energizing the imagination, and achieving ones dreams and desires. 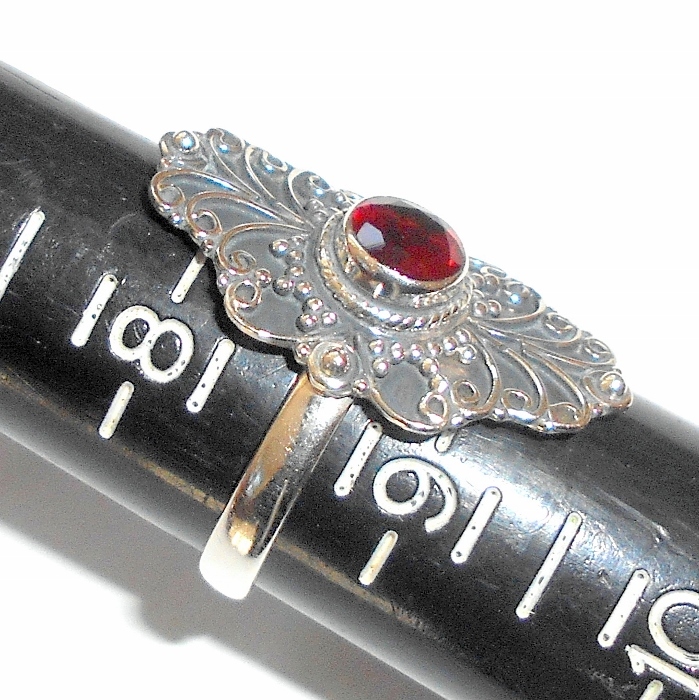 Garnet is the January birthstone.